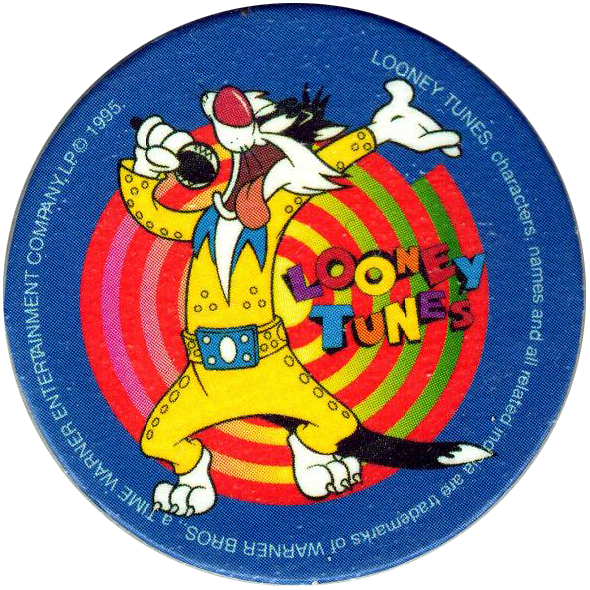 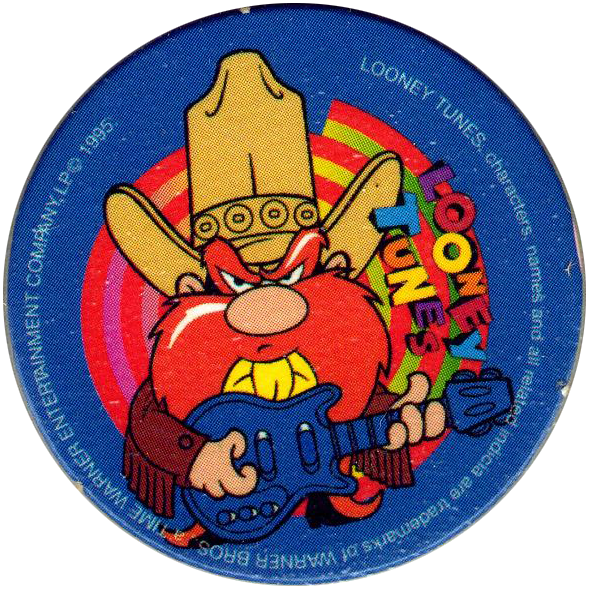 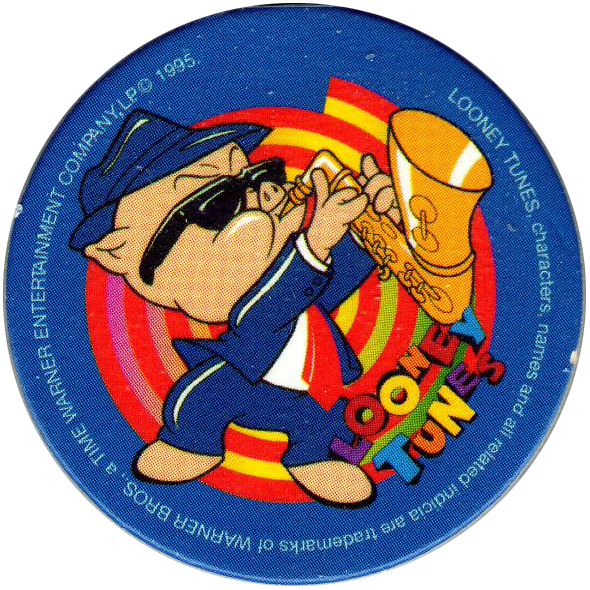 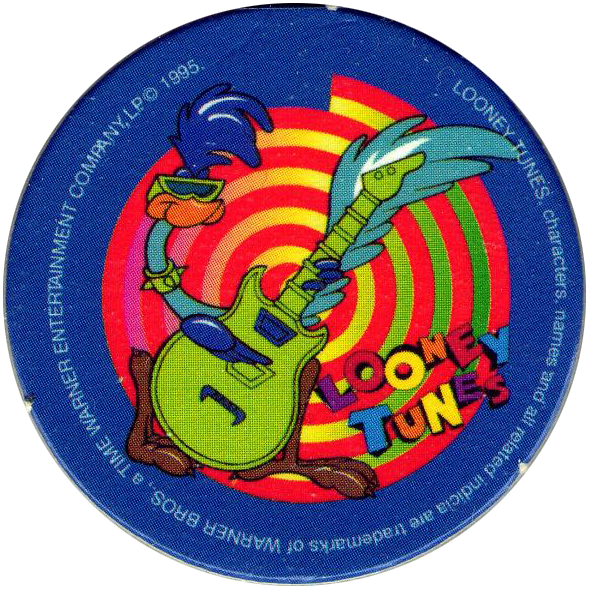 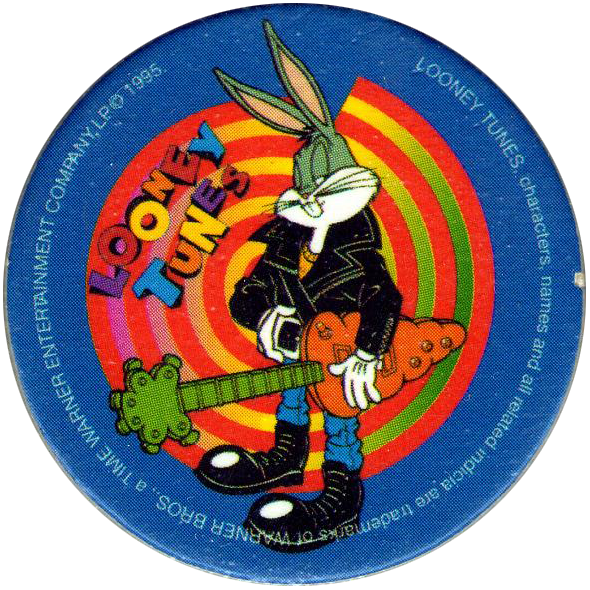 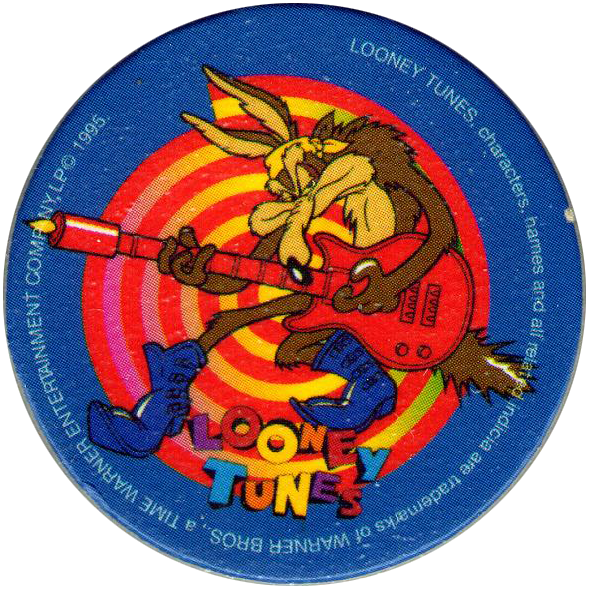 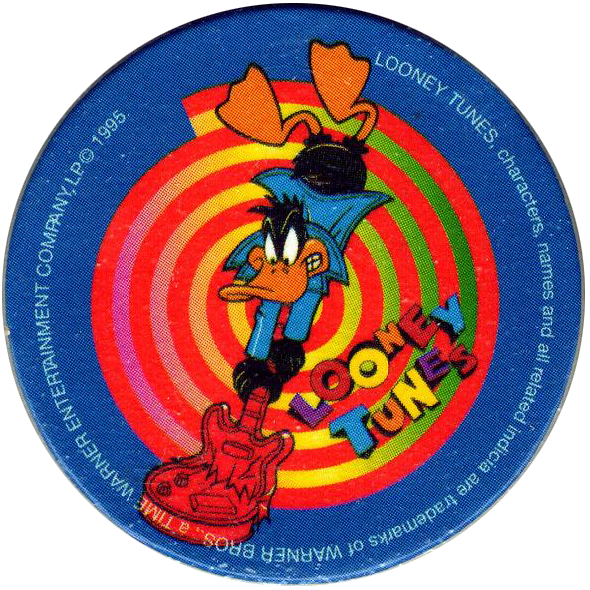 Info:These pogs feature various Looney Tunes characters playing musical instruments on the front. 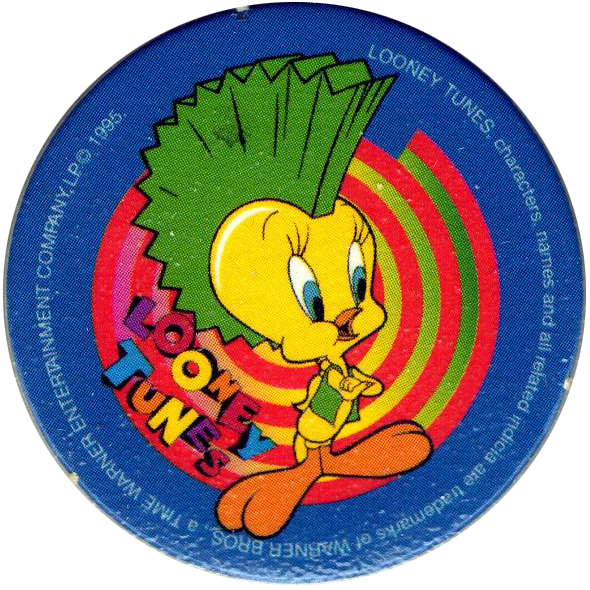 The designs appear to be exclusive, rather than re-using images that were used by Frito-Lay / PepsiCo in their Tazo / Taso / Flippo series. 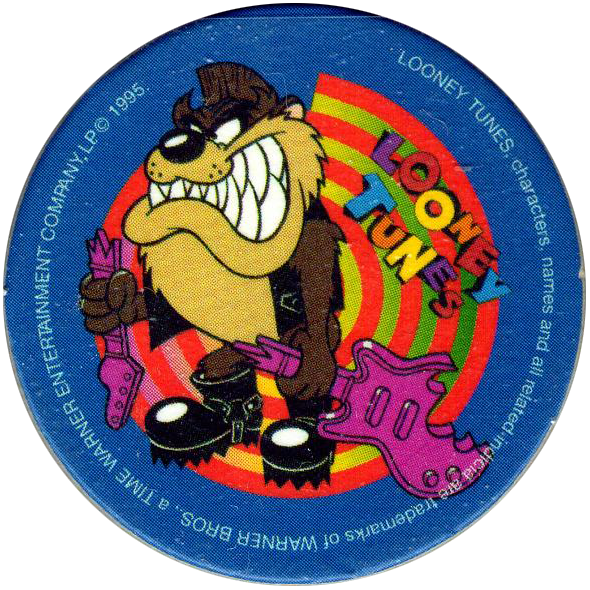 The pogs are unnumbered. 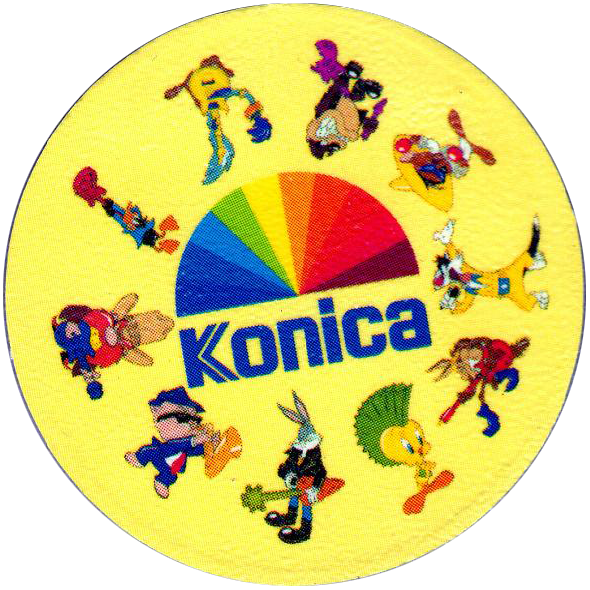 On the back they have the Konica logo and small images of all the images used on the fronts. 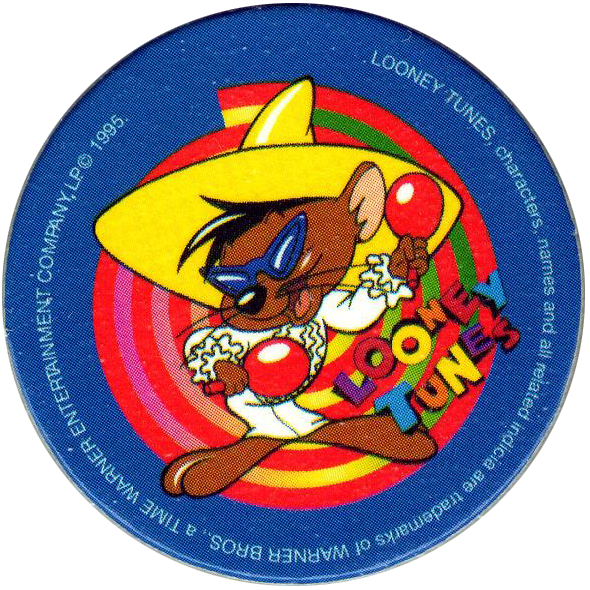 Possibly they were given away with cameras or film sold by Konica?